According to Huberty, Apple has one of the "most significant exposures to Chinese exports to the U.S.," due to its final assembly for most products located in China. While other firms could relocate factories outside of the country to escape the levy, China is "one of the only countries that can provide such a large and low-cost labor force with the expertise in manufacturing and tooling that is required" for the production of over 300 million devices a year, the analysts state, requiring upwards of 1 million workers in a single location. It's a lose-lose either way (from a dollar standpoint). But it's a huge PR win if Apple eats the cost and keeps iPhones priced the same during this "Presidential Transition". The tariffs will be a lose-lose event for everyone in the short term. But I’m slowly coming around to the realization that the kleptocratic Chinese leadership and US companies that continue to source their products from this regime need a hard ‘biff’ on the nose. China is not becoming more open with closer economic ties as many had thought it would. China continues to aggressively steal US IP. A wake up call is needed. Whether tariffs are the best answer is debatable. But the way everyone has been operating needs to change. It'll be interesting to see how this shakes out politically. Does Apple hold off on price increases so as not to annoy POTUS? THye have a decent profit margin on the phones, but I wouldn't expect any company to eat that much profit. That could he a poison chalice if Apple absorbs the tariffs and still announces high profits next year. There is the option to absorb part of the tariffs and pass the other half onto the consumer and create bundles to shift more product. Won't bother me. They're getting too expensive anyways. Same for the iPads. Apple needs to chill out, and China needs to be taught a lesson. Perhaps the tariff is already baked into the price of the iPhones. Apple already saw it coming so they lowballed their forecast for the first quarter. That cost increase is a drop in the ocean to rich people, apple shouldn't be worried to pass on those costs. They aren't interested in the junk market, so higher the prices go, the more they distance themselves from it. "People could stand that very easily." People could mean Apple investors, Apple shareholders, Apple top executives,. Apple could even lower the prices of iPhones by the equivalent tariff and still make huge profit. "Trump suggested a 10 percent tax could be applied to the iPhone and other goods, as 'people could stand that very easily.'" Trump didn't "suggest" this at all. The interviewer specificially fed him a question about "even iPhones?" to get a clickbait quote from "the president." And Trump delivered the "sure" response the interviewer calculated. Prove it. Pojnt us to valid data that proves your allegation. Otherwise it’s just random blathering in the wind. And I suppose this only affects Apple, right? Other manufacturers who import from China to the U.S. are exempt? Samsung is already exempt? Google is already exempt? And the clueless among us still clamor for Apple to move production to the U.S. Politics and reality often don’t mix do they. It's a stupid tariff. What are we supposed to do? Buy an American made phone? iPhone is about as American as it gets. It really is just a tax, on (almost) everyone, that doesn't have to go through Congress. Yea! More tax cuts for the the 0.1%! More money to waste on sending troops to intercept refugees! That’s it?! In the worst case, that’s less than a third of the profit margin. I was under the impression it would double the costs to consumers. Who else thinks Trump looks like the Muppets' Swedish Chef and Tim Cook is Beaker! ...or Apple could make the phones in the US for the same amount. If only this was addressed in the article! Oh, wait, it is. it is insane to assume that Apple could move the production to the US....the quality would be bad and prices sky high....Apple needs to eath the tariffs ! iPhones are way too expensive already...and most of the profit is dividended out anyway....Apple should choose its customers over its shareholder ! It’s fun listening to Americans fretting about iPhone price increases. 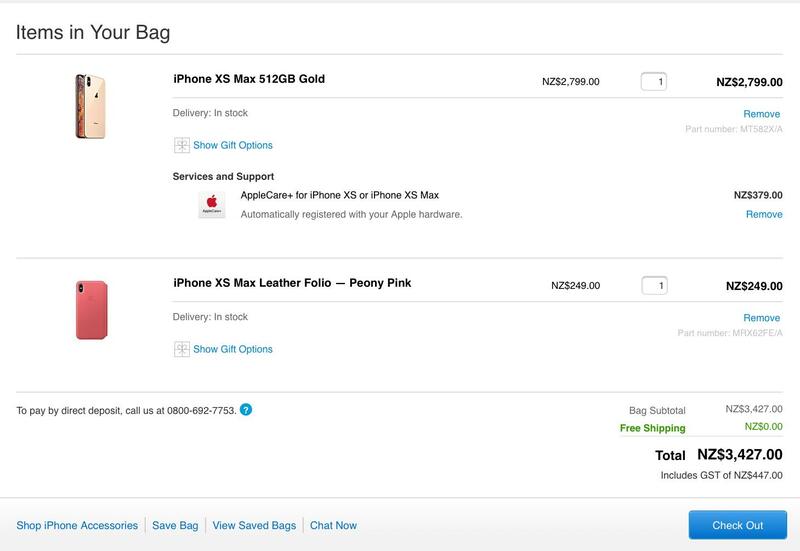 Welcome to the Rest Of The World where it’s possible to pay $3.4K for a cell phone. I pointed it out because from the comments almost (!) everyone missed it.